Javelin SolidWorks Construction Industry Success Story - Breaker Technology Ltd.
/ Home / Customer Success / Success Story A-Z Listing / Breaker Technology Ltd.
Breaker Technology use SOLIDWORKS and SOLIDWORKS Simulation to help them manufacture and distribute a wide range of mine, quarry, construction and demolition equipment. 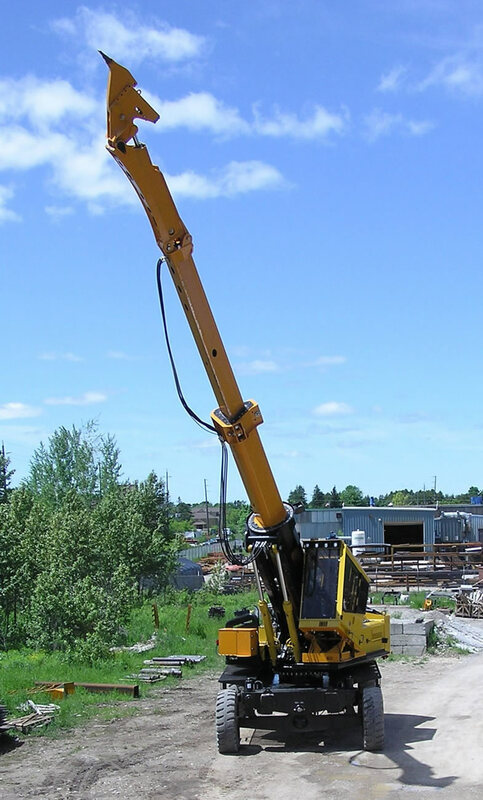 Specializing in hydraulic hammers, mobile rock breakers, stationary and portable rockbreaker systems, construction and demolition attachments. Also recognized for underground utility vehicles including mobile scalers, scissors lifts, crane trucks, lube trucks, anfo loaders, shotcrete mixers and placers, cassette systems and personnel vehicles. Accepted as the industry standard, Breaker Technology Ltd., enjoys a reputation for engineering products with the most advanced technologies available. Domestic and international markets include customers in Canada, the U.S., Sweden, South America, Africa, UK and Scandinavia. Ensuring the safety of our products is paramount. Utilizing SOLIDWORKS and SOLIDWORKS Simulation FEA gives us more control and the assurance of the integral strength and safety of our products. Brad Toole, Engineering Manager, Breaker Technology Ltd.
Breaker Technology Mobile U/G (Underground Scaler) designed with SOLIDWORKS and SOLIDWORKS Simulation. 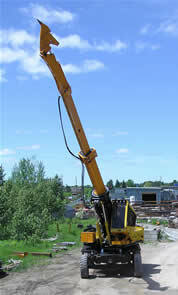 The design features a maximum boom reach of 45 feet.